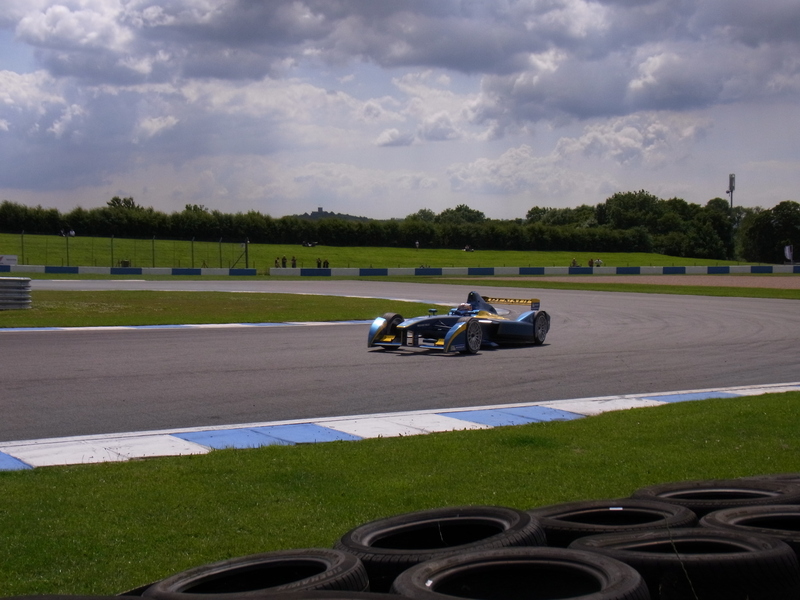 Yesterday I took a trip to Donington Park in the family Leaf to watch the third day of Formula E testing in preparation for the opening round of the championship in Beijing on 13th September. I met up with a similarly geeky friend (thanks Alex!) 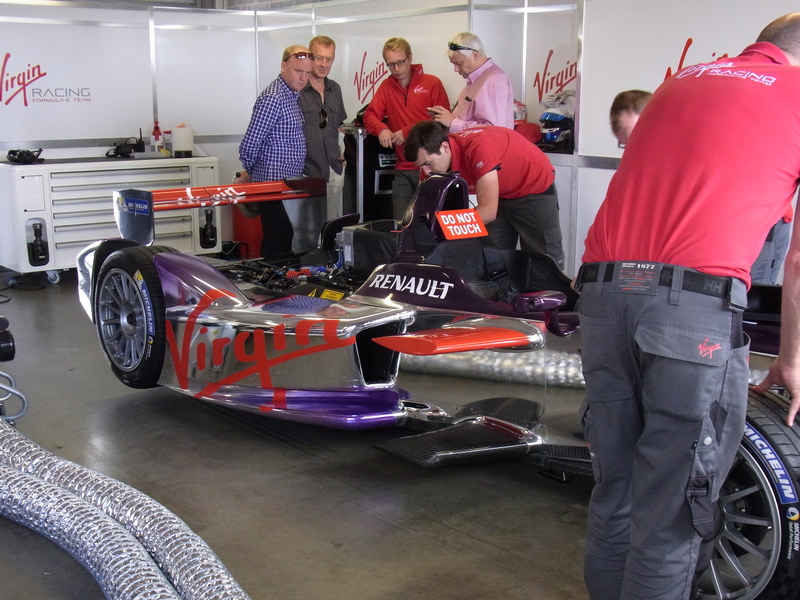 for what turned out to be a glorious afternoon in the sunshine, listening to the unique – and really rather attractive – sound of electric race cars and watching the drivers, many of whom have Formula 1 pedigree, learning how to get the best out of their new machinery. The cars and the race formats are both going to develop quickly but the organisers have made some good judgments in getting the series off the ground. In the first season it will be a one-make series, with motors and batteries sealed. That should make for close racing around the city circuits. Next year the teams will be able to modify drive trains and in the following season I believe the chassis will also be open. All this is designed to keep costs down and avoid giving too much of an early advantage to the better-funded teams. From what I saw yesterday the portents are good. 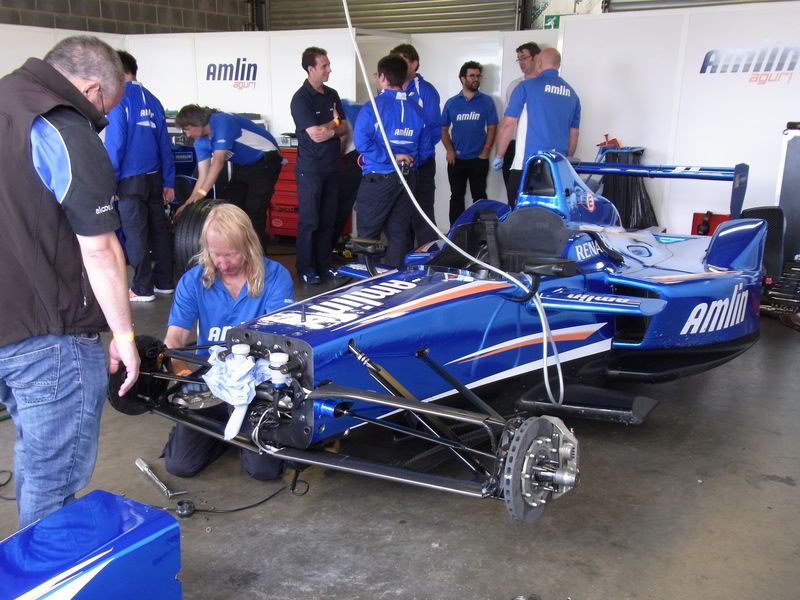 There’s one more chance to see the Formula E cars testing at Donington before they’re shipped out to China, and that’s on 19th August. Admission free!